3-D animation has traditionally been dominated by mammoth Hollywood studios, and for good reason–the amount of processing power that goes into 3-D animation usually requires dedicated server farms that are air-conditioned 24 hours a day. 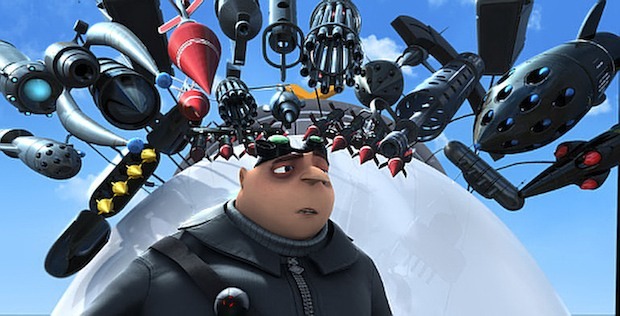 Illumination Entertainment, the production company behind the just-released feature Despicable Me, decided to try something new–instead of using air-conditioned server farms to render images, the company asked IBM to built a customized server farm using the iDataPlex system, a processing system that cuts down on energy use by 40% compared to traditional server farms. The iDataPlex has two key advantages: a flexible configuration that doubles the amount of systems that can run in a single IBM rack and the ability to run an ambient temperature room (no costly air-conditioning required). The system has been on the market for over a year, but Illumination is the first studio to use it for animated film. This doesn’t mean that any scrappy studio with a dream can now produce a high-end 3-D animated film. Illumination used a 330-person team of artists, producers, and support staff to produce 142 terabytes of data. And the rendering farm, which processed up to 500,000 frames per week, was built in conjunction with Mac Guff Ligne, a French digital production studio. off-the-shelf racks and processors, but the iDataPlex’s unique configuration of servers packs a lot of processing power into a small space–and that’s not easy to replicate. Don’t expect these rigs to be appearing in suburban garages anytime soon.